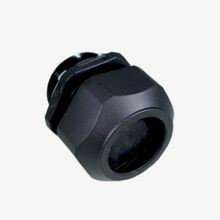 Ideal for solar rooftop installations in place of, or in conjunction with combiner boxes for faster connections and lower installed cost. With a skinned-over gland, featuring a thin, Santoprene membrane, 1 to 13 wires simply pierce the membrane. Remke Engineered Solutions is entirely focused on meeting the needs of a single customer. Our Job #1 is to develop application-specific, custom liquid-tight solar panel connectors that meet precise specifications.